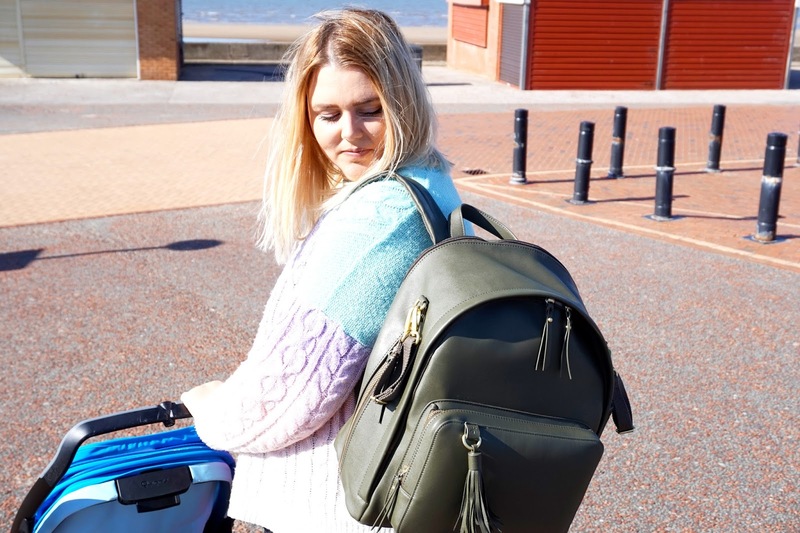 We were recently sent the Greenwich Simply Chic backpack from Skip Hop, and we've been trying it out for a couple of weeks now. When it first arrived, I was overly pleased with the quality and the size. As we go out as a family every weekend, when my partner is off work, we tend to take a few bits with us. I normally take one bag for Freddie, a bag for myself and then the girls will take a bag each, if they fancy taking a few toys or pens and paper with them. 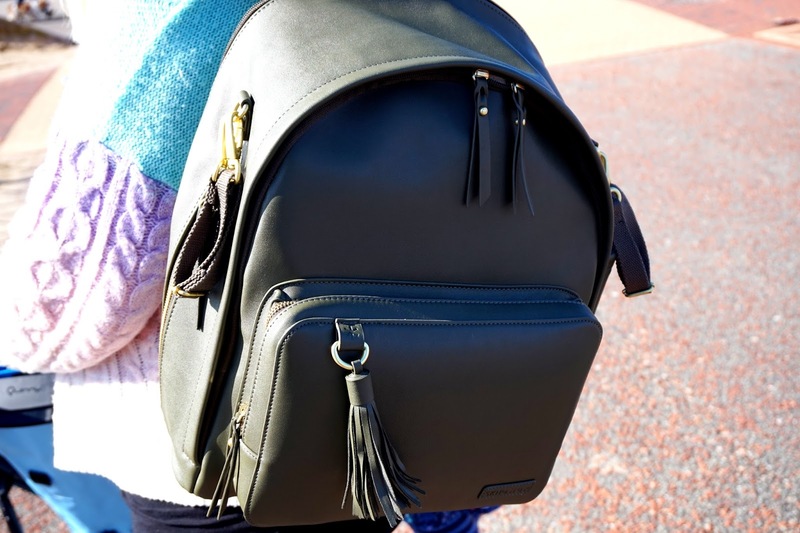 But, since having this backpack, we've just been taking the one, and it's been less hassle and much easier for us. The first thing that caught my eye was how stylish the backpack is. I received it in the colour Olive, and I am just in love with it. 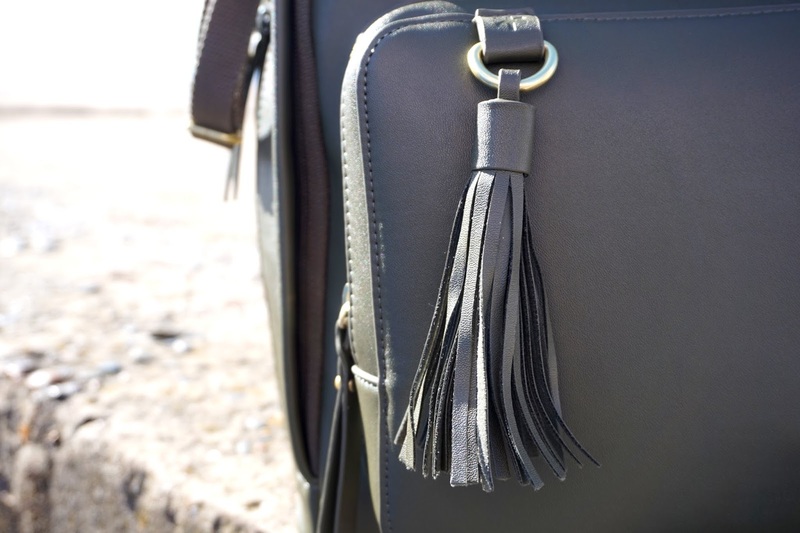 I love the tassel accessory at the end of zip and especially all the pockets. There are nine pockets in total, and the middle pocket opens wide when you pull both zips down. It's great for getting things out easily. Something you need when you have little ones around. 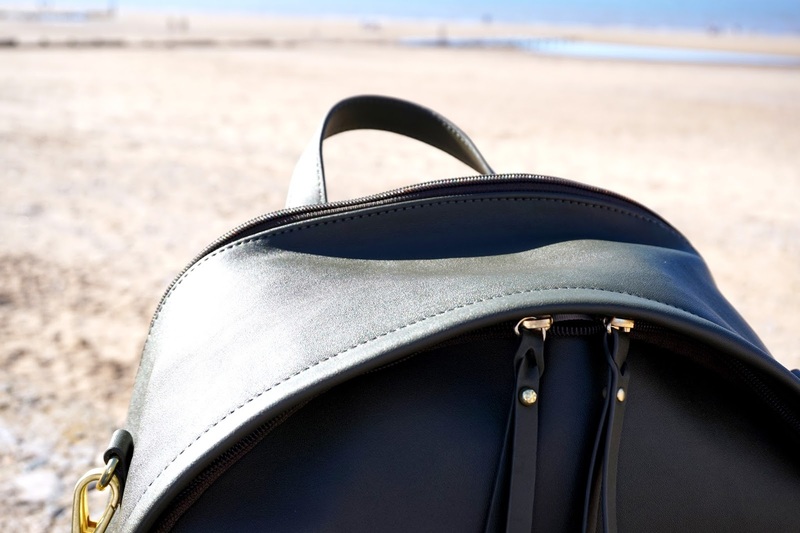 It's made from a durable, wipe-clean vegan leather and is just stunning. In the back pocket, there is a cushioned changing pad, which is really handy to have out and about. 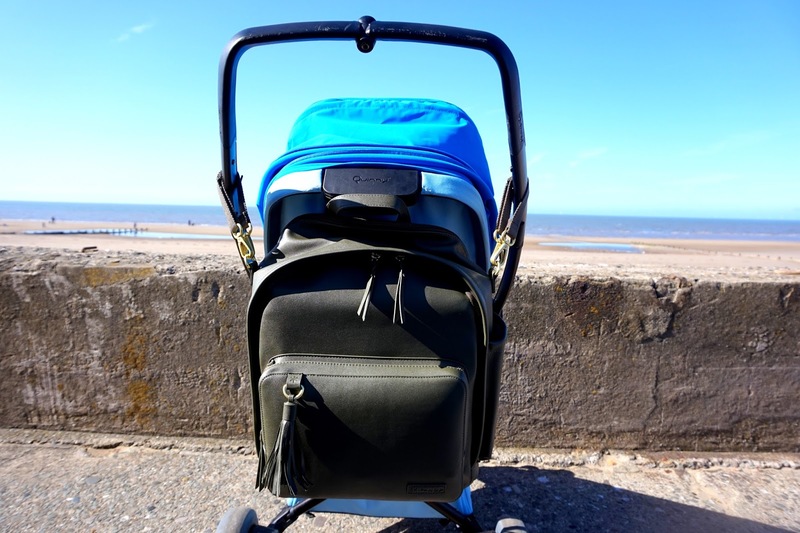 The bag can hang nicely on a pram with the stroller straps that are on each side of the backpack. We have one handlebar on our pram, and it fits well. 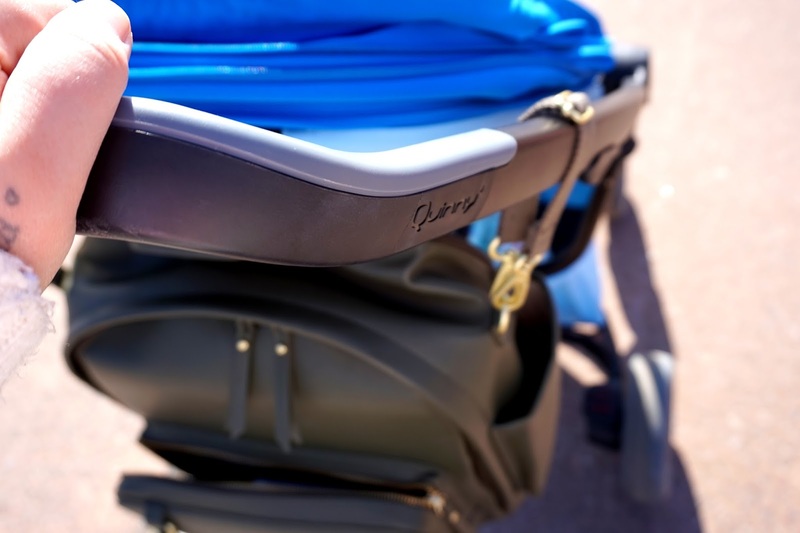 There is a top handle for carrying also, as well as adjustable straps to carry on your back which is super handy if you don't have a pram with you or if you just want to use it as a backpack. The bag is large, you're more than likely not able to fill it as it is big. I love having a big bag around with me when I'm going out somewhere all day or going away for the weekend somewhere. 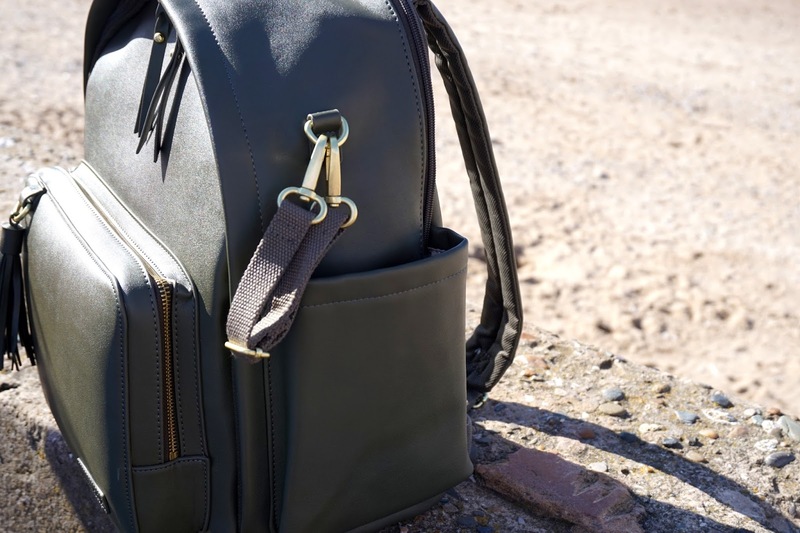 Something that is really handy with this backpack is that I am able to use it for myself too as it looks stylish and not your usual baby changing bag. Sizing: The back pocket, the changing pad pocket, holds a tablet and laptops up to 15" in size. * We were gifted this item in return for an honest review post. All words and images are our own.